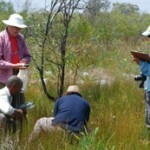 The first step in evaluating a site for its potential biodiversity significance and context entails being able to find it. For this, one needs the right map. Maps printed on paper include atlases, road maps, geological maps, topocadastral maps and orthophotos. They are informative but ‘low tech’, readily obtainable and can be stuffed in a pocket during field work. On the downside, they are less useful for recording and analysing complex information, and can be impractical to store. They also fall apart with use. Digital maps are computer-based. They include scans of printed maps, maps hosted on websites, and maps that are generated by GIS (Geographical Information Systems) and other high-tech devices. 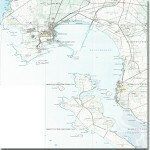 The great advantage of digital maps is the amount of data that can be stored, re-used, analysed and distributed, and their versatility – which ranges from copying scanned images into environmental reports to using sophisticated GPS (Geographical Positioning Systems) to ‘geo-reference’ field data that can later be run through sophisticated GIS analyses. Chief disadvantages are the high cost of hardware and software, and technical barriers to their use such as insufficient computing capacity and unskilled users. 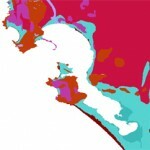 Broad-scale maps depict larger areas with less detail than fine-scale maps which depict smaller areas with more detail. The fine-scale maps hosted on the BGIS website depict biodiversity features at a scale of 1:10 000 (i.e. one centimetre on the map represents 100 metres on the ground). In comparison, the broad-scale South African Provincial Series of maps are mapped at a scale of 1:300 000 (Gauteng) to 1:1 200 000 (Northern Cape). In the case of the Gauteng, one centimetre on the map translates into 3 km on the ground. For the vastly larger Northern Cape, the scale increases to 12 km for every centimetre on the map. The geology of South Africa is mapped at a scale of 1:250 000 while the new vegetation map of South Africa, Lesotho and Swaziland has a scale of 1:1 000 000. It should generally be assumed that maps are not entirely accurate, and are ‘out’ by about 10%. For example, a feature (such as a survey beacon) depicted on an aeronautical map with a scale of 1:500 000 may actually be located up to 500 m from its mapped position. If the same beacon is depicted on a fine-scale biodiversity map with a scale of 1:10 000, it may be ‘out’ by up to 10 m.
Take note: Ground-truthing is essentialBecause of limitations arising from map scale and potential mapping errors, biodiversity reporting for the purposes of environmental assessment should not only be based on maps. It is therefore crucial to double check mapped information against actual conditions on the ground. If planning a route or locating a particular site, broad-scale topocadastral (topo = landforms, cadastral = surveyed land parcels) maps can be very useful. 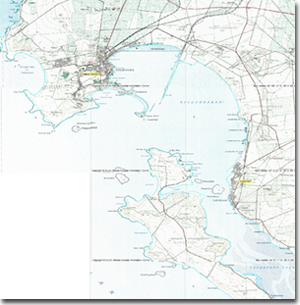 These maps, which are printed on paper, are distributed by the Chief Directorate: Surveys and Mapping in the Department of Land Affairs. The 1:50 000 and 1:250 000 topocadastral series are particularly popular. Features such as infrastructure (e.g. roads, powerlines or dams), settlements, cultivated land, buildings, rivers, survey beacons and topography (depicted as contours) are useful for navigation and generally working out ‘the lie of the land’. A complete set of the entire 1:50 000 series fits on to six CDs produced by the Chief Directorate: Surveys and Mapping Disks 1-6, 1:50 000 Raster Images. For GIS users, the shape files for the 1:50 000 topocadastral series are also available as three CDs from the Chief Directorate: Surveys and Mapping Disks 1-3, 1:50 000 Shape Files. A big benefit of the GIS layers is that they allow you to ‘build’ your own maps, selecting only those features that are relevant to your needs. The Provincial Map Series depicts important administrative information such as provincial, district municipality, local municipal, and magisterial district boundaries. Towns, major roads, railway lines and statutory protected areas are also depicted. If you do not have access to GIS or a computer, these maps are helpful for orientation when working with the Vegetation Map of South Africa, Lesotho and Swaziland Mucina L and Rutherford MC (eds) The Vegetation of South Africa, Lesotho and Swaziland. Strelitzia 19, South African National Biodiversity Institute, Pretoria. 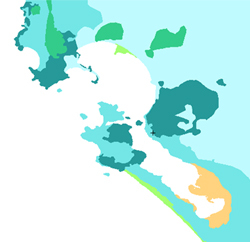 Note that the scale of the provincial map series (1:300 000 to 1:1 200 000) and the vegetation map (1:1 000 000) broadly overlap but are not identical. When working at the scale of specific sites or properties, the 1:10 000 orthophoto series published by the Directorate: Surveys and Mapping becomes very relevant. Orthophotos or ‘photographic maps’ are black and white aerial photographs that have been geographically rectified so that they can be used as maps. When overlaid with additional information such as contours, north arrows and meridians and parallels they are known as ‘orthomaps’. At a scale of 1:10 000, orthomaps are exceedingly useful for recording spatial information for environmental assessments and as ‘base layers’ for digitising (i.e. recording electronically) the same information for use and analysis by means of GIS. Challenges can arise in balancing scale and detail when using maps to trace proposed corridors or routes for linear infrastructure such as powerlines, roads or pipelines. Due the distance covered by linear infrastructure, it may be most expedient to use a broadscale map (?1:50 000). This does, however, mean less detailed information to plan by. On the other hand, fine-scale maps can draw in the viewer so closely that the planner loses ‘the bigger picture’ and … cannot see the wood for the trees. 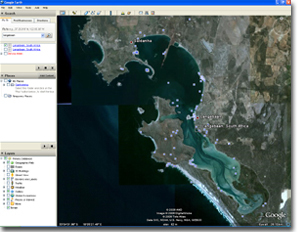 Satellite imagery provided by Google Earth literally has made ‘real world’ spatial imagery available to almost anybody with the right computer equipment and an Internet connection. This tool offers the type of bird’s eye imagery that is eminently suited to environmental assessment. Google Earth shows land cover, imprints of human activity and three-dimensional perspectives of terrain at virtually infinite scales that substantially outstrip the reporting capacity of conventional, paper-based maps. Zoom in and out of views at will. But like any graphic depiction of the Earth’s surface, Google Earth also has its limitations. Imagery can be several years out of date, some areas are captured at a low level of resolution, and the images lack the interpreted detail that is found on topocadastral maps. Also, use of Google Earth is restricted to personal, non-commercial use Google Earth Pro is the version for commercial use. 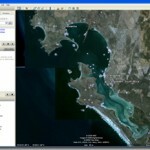 It is faster and offers higher resolution than Google Earth, and can be used with GIS. Use of Google Earth Pro is subject to an annual fee. It is sometime necessary to have up-to-date and highly accurate information on property boundaries. Topocadastral maps and digitised cadastral layers generally cannot assure the requisite accuracy or level of detail.